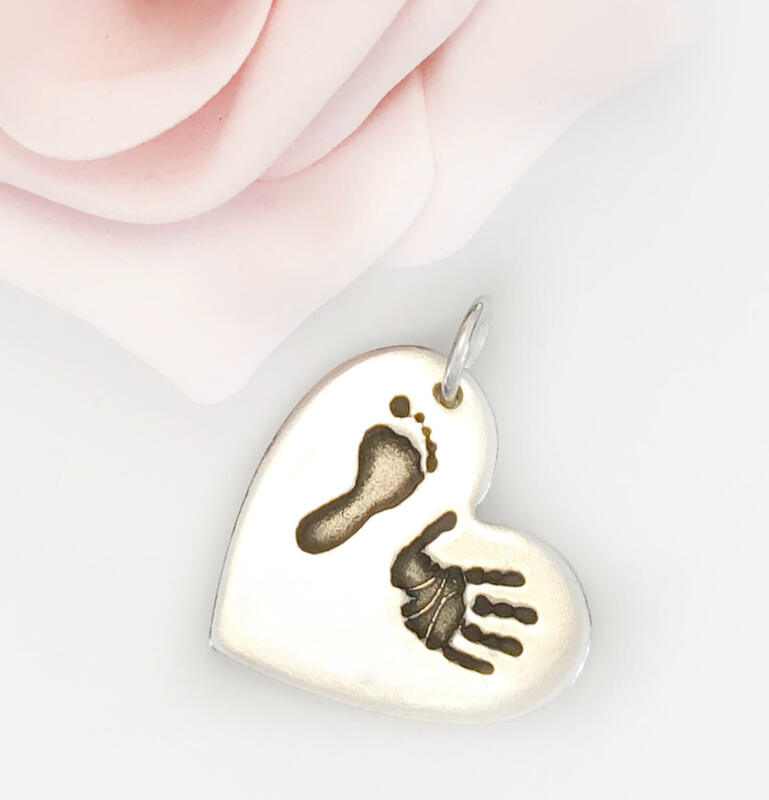 Imagine wearing YOUR child’s hand or foot print as a piece of beautiful jewellery? 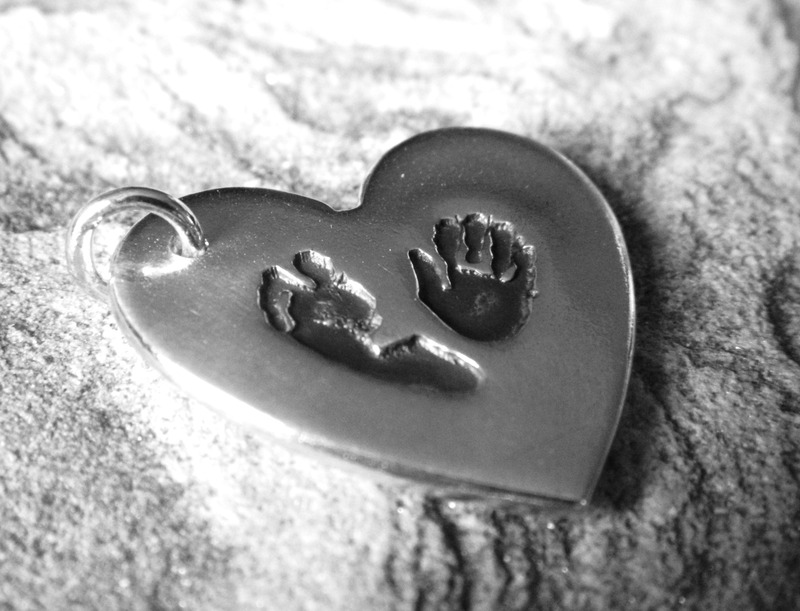 With you wherever you go…telling the world how impressed you are with your little person. It makes a great keepsakes while capture a unique memory. 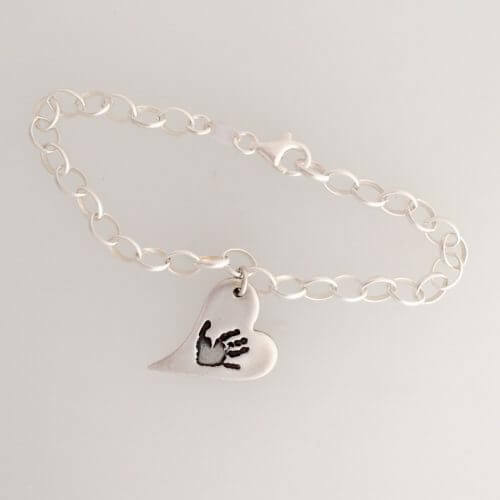 Perfect from birth onward, especially if your little one hasn’t got a defined fingerprint yet (approx 12 months). 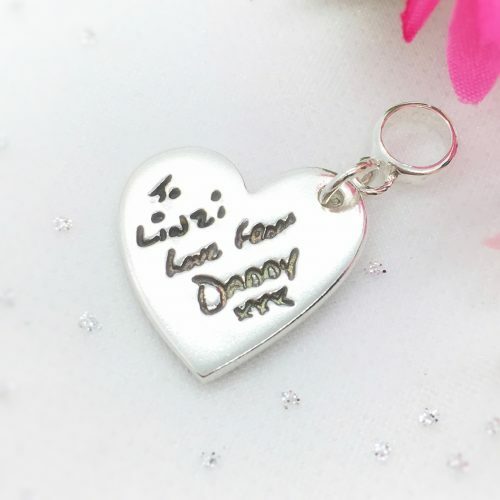 Medium charms – measure approx 24mm and can have one or two prints, and a name on the front, with space for 3 words/date on the back. Up to three words, max of 6 letters works best. 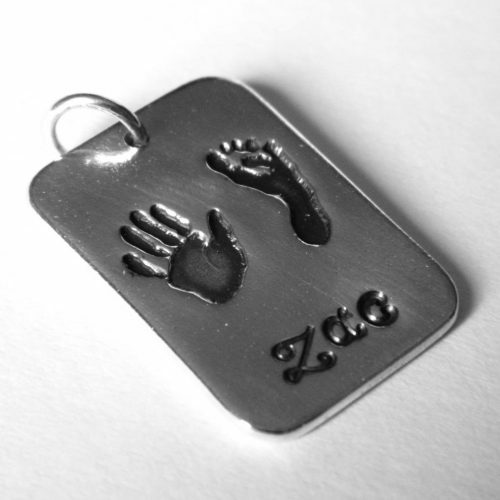 Medium charms – measure approx 24mm and can have one or two prints, with space for 3 words/date on the back. 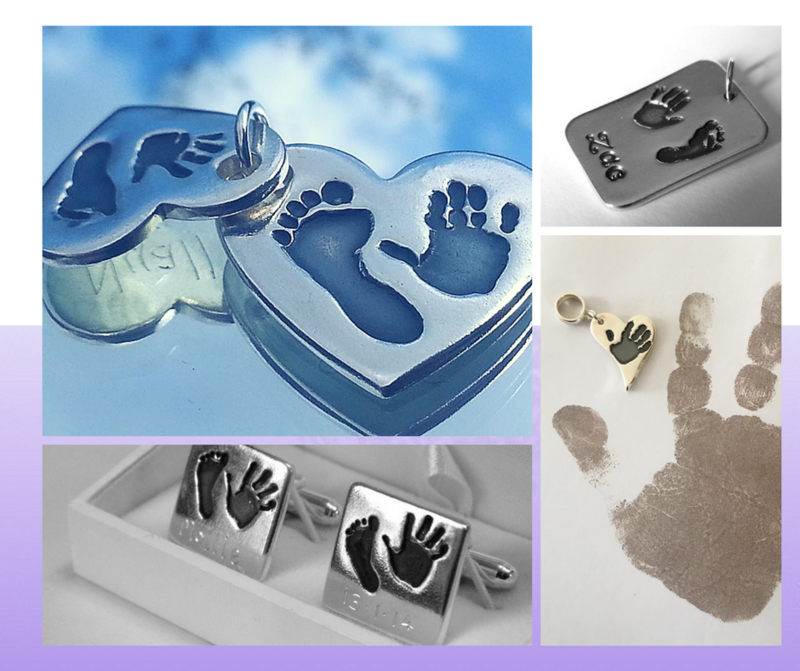 To create a Mini Print I need an image of your little ones hand or foot print. 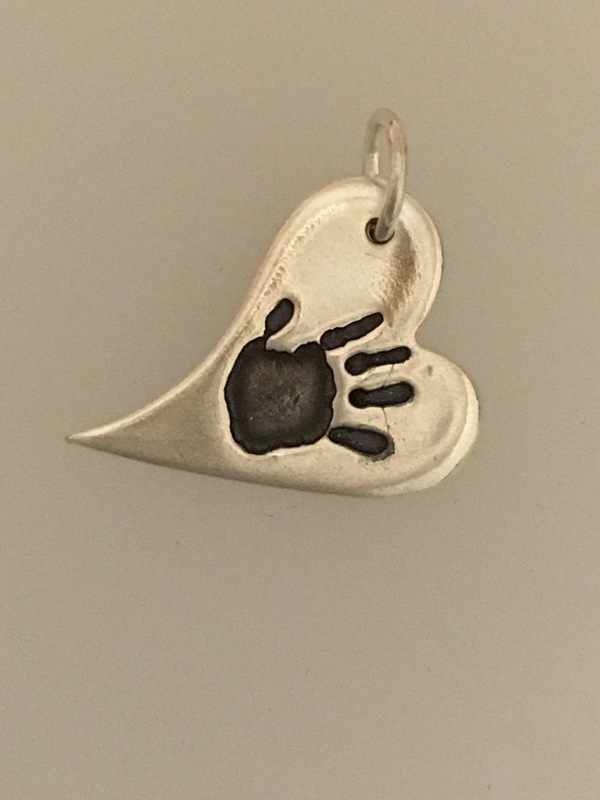 When you complete your mini print purchase, I will post you a kit with full instructions on how to take a detailed image of the hand or footprint. Your kit will contain a special ink less baby wipe and a sheet of sensitised paper, just wipe the hand or foot and press it down – it’s that simple! They are non toxic, mess free and easy to use. When you have done this, you can scan and email the images to me, or pop them in the post (details below, but will also be in your kit). 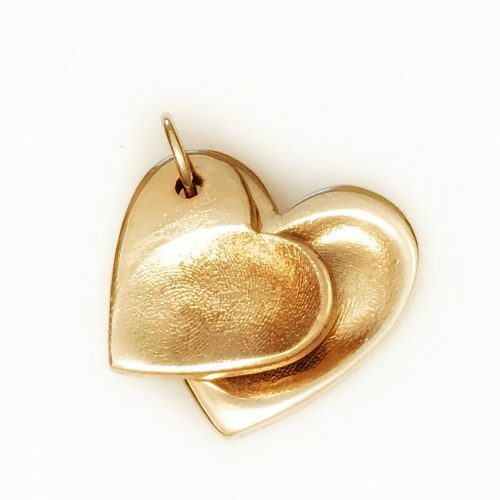 Once I have your images I work a little magic and shrink YOUR perfect prints into your solid silver charm. 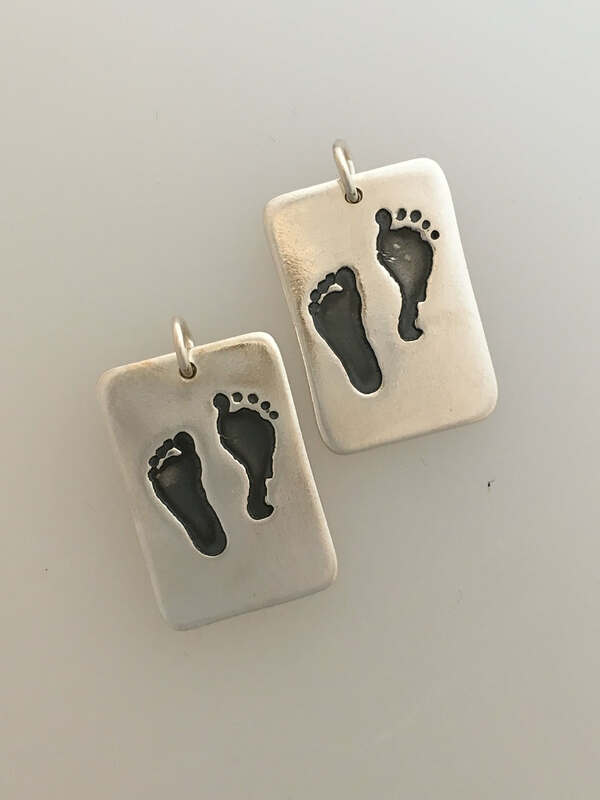 You may already have a hand or footprint of your child or a loved one, and I can use these to create your jewellery with too. 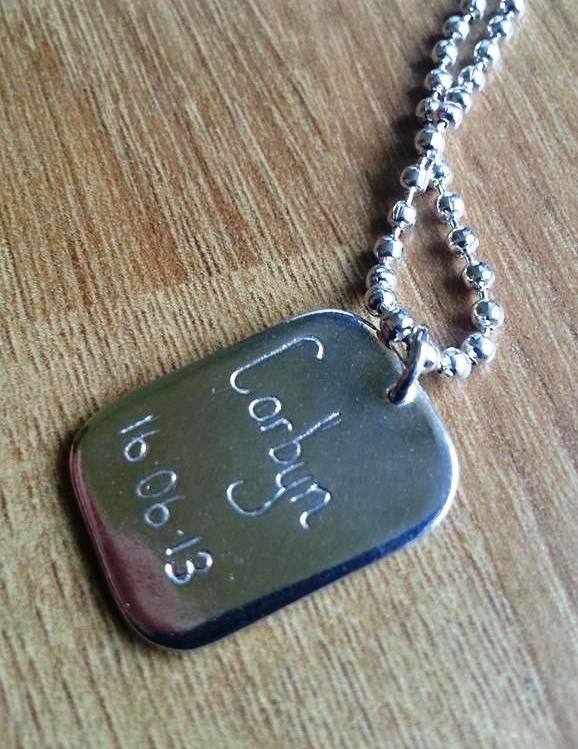 You can scan and send these to me by emailing [email protected] or posting to Impressive Memories, 11 Moidart Drive, Pitcairn, Glenrothes KY7 6ET. (I advise you do not send originals in the post if they hold precious memories).